The Tacx Vortex Smart is a more affordable electrobrake trainer from the number one name in home trainers - Tacx. Even more impressive, the Tacx Vortex Smart is designed for use with your smartphone or tablet, so you can use it in the style of Tacx's famous (and far more expensive) i-Magic-style interactive trainers via Tacx's free App, as shown on this video. There are two ways of using the Tacx Vortex Smart trainer. Plug it to a wall socket to create a fully interactive simulator, which works with all types of third party hardware and software. Dont plug it in and use it as an old-school turbo trainer. 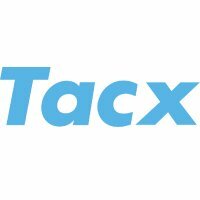 Plugged in, an electromagnetic trainer like the Tacx Vortex Smart feels more realistic and runs quieter than a mechanical home trainer such as the Tacx Blue Matic. Slope, power output or heart rate programmes can be set manually during the training session. Compatible with Tacx Advanced software. Tacx make their own phone / tablethandlebar mount (not supplied) to use with this trainer. Compatible with the following devices and higher: iPhone 4, Apple iPad 3, iPod touch 5; Android 4.3.